The Falcons performed around Wellington for 10 years, from 1962 through to 1972. They cut their teeth – like so many groups in the 1960s – at local church youth groups so they could secure a place to practise on Sunday afternoons. Their patch was at the All Saints’ Church in Hataitai. On Saturday nights, they would play at other local church youth groups in the eastern suburbs – Miramar, Kilbirnie and Lyall Bay – before venturing out to other suburbs such as Brooklyn, Karori and Wadestown. The Falcons never performed in central Wellington during their early days; these spots being reserved for the big boys of the day – The Librettos, The Premiers, The Cascados and others, including the up-and-coming band The Mustangs. Ironically, most members of all these groups went to Rongotai College, as did Blake Thompson and Robin Page of The Falcons. The Falcons’ first ‘step up’ was under the management of Tom McDonald (along with 20 or so other bands) when they joined his ‘Universal Booking Agency’. Their territory initially expanded to Upper and Lower Hutt and Porirua (still nothing in central Wellington). The next phase was weekend and Christmas tours in Nelson and Blenheim, and up to Gisborne, Napier, Rotorua, New Plymouth and every hick town in between. Hardworking groups of the day (like The Falcons) never got the chance to meet or hear their rivals – such was the amount of work available – until Tom organised several three-day teen music and dance marathon weekends at Lower Hutt’s Horticultural and Town Hall. These hosted up to 10 different bands that were able to meet, chat and listen to each other between sets. The Falcons had a number of line-up changes during their time. Bill, the vocalist, was the first to go when he failed to turn up to a gig at The 77 Coffee Club in Upper Hutt. Luckily, Blake remembered the words to all of Bill’s songs and sang them for the first time that night. Nobody really noticed, so the group was now a four piece. Randal Gibson was the next to depart, and the remaining three become a very tight trio! In 1967, The Falcons auditioned for two weekend gigs at The Sheridan in Herbert Street – central Wellington! By this time, they were joined by Doug Harvey, who could play rhythm guitar, trumpet and sing. 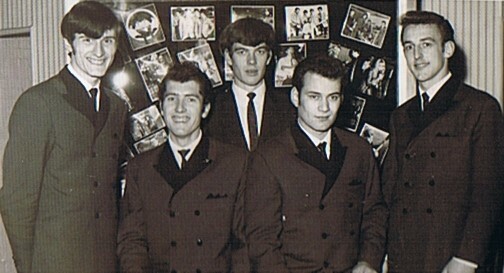 John McKenzie then left for Australia and his place was taken by Maurice Butterworth, who stayed with the band till the end. At about the same time, they added Nigel Keith on keyboards, vocals and second trumpet. 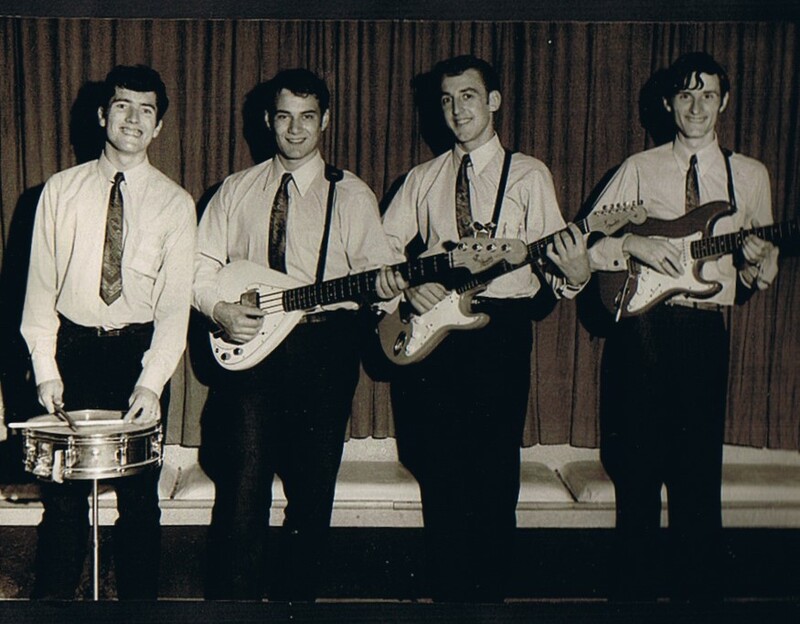 With this five-piece line-up, they could do the fuller numbers and this proved very popular with the slightly older audiences that they attracted (18-22 year olds). 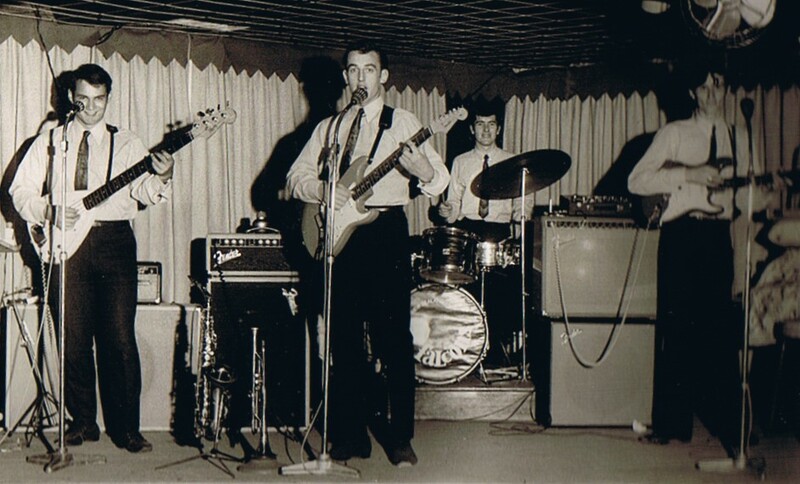 Their first gig at The Sheridan attracted 50 people, and the second only 80. However, the venue’s new managers, Earl and Dawn, had faith in the band and booked them for a further three months, during which time The Falcons boosted attendance to up to 800 people every Saturday night – most from out of the city, as far away as Paraparaumu and Upper Hutt. At 8.00pm there would be about 100 people, then by 8.30pm another 700 would arrive. At 11.50pm, the same 700 would dash out the door and race to the railway station to catch the last train out of town that night. Every weekend, they featured a 30-minute floorshow by top artists from all over New Zealand (although mainly from Auckland). The Falcons performed all their own backings and rehearsed the floorshow on Thursday evening for the performances on Friday and Saturday nights. Another popular feature was when The Falcons performed a ‘top-ten chart countdown’ bracket. 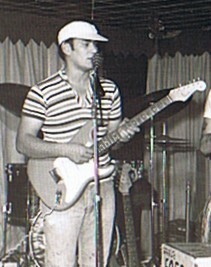 The top ten was released every Thursday, and they had to learn any new entries that evening before playing them the following two nights. This boosted their repertoire, which was always kept up to date. It also created some humour when Doug had to sing Alison Durbin’s hit I Have Loved Me A Man for as long as it remained in the top ten charts. The Falcons also did a stint on a cruise liner to Australia, Fiji and Noumea that proved very successful before returning to their residency, which had been extended from its original two weekends to three years. The Sheridan was often visited by other musicians on their odd nights off, or when they’d finished a gig early. They would introduce themselves to The Falcons during their breaks and meet again at the Wellington Musicians’ Club later that night/morning for a wind-down or a bit of a jam. When Doug Harvey retired, his replacement was Dave Lakeman on saxophone and valve trombone. 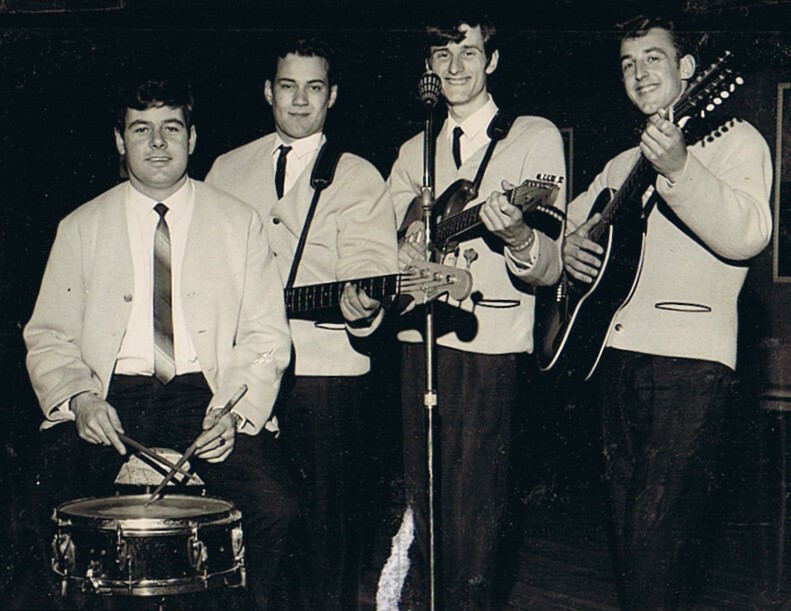 Blake Thompson later formed several groups including ‘The Other Band’ and ‘Fandango’, as well as doing session work in Wellington before heading to Auckland where he led a successful group called ‘SOS’. Blake passed away in October 1999. All other members are still ‘kicking’ and, apart from John McKenzie and Dave Lakeman, still reside in New Zealand. Randall did a long stint with ‘The Valley Stompers’ playing banjo. Maurice Butterworth became a much sought-after professional drummer in many top New Zealand line-ups. Bill Trott has retired in the Wairarapa. No one’s heard from Nigel Keith but it’s presumed he’s well. Doug Harvey headed to Tauranga and kept his hand in playing trad jazz with local musicians from that area. Robin Page formed a group called ‘Transit’ with Tom McDonald and Denis Morehu (both ex Cascados), then took a well-deserved break from active music, only to come back onto the scene 10 years later with revived energy and quickly made up for lost time. He joined a group called ‘The Night Owls’ then went on to form three successful Wellington line-ups: ‘Jigsaw’, ‘Room To Move’ and ‘Dr Feelgood’.